The Coalhurst High School graduating class of 2019 will be celebrating their graduation as a one day event to be held on Saturday, June 1, 2019. The convocation will be held at Coalhurst High School in the gymnasium. The banquet will be held in the Grand Ballroom at the Sandman Signature Lethbridge Lodge. Times are yet to be determined, but will be posted as soon as they are confirmed. If you have any questions, please feel free to contact Melissa Moffat by email at melissa.moffat@pallisersd.ab.ca, Aaron Moffat by email at aaron.moffat@pallisersd.ab.ca, or phone the school at 403-381-4812. In order for students to be eligible to attend this year's graduation banquet celebration, ALL school fees, including the $125 graduation fee, must be paid to the office no later than May 1, 2019. 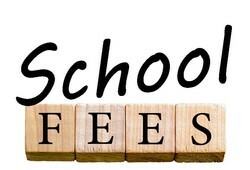 This includes any back fees owing from grades 7-11. If you have any questions or concerns, please speak with Rosie in the office. This year's highway cleanup fundraiser will take place on Saturday, May 4th. In the case of inclement weather, Saturday, May 11th is the alternate day. We will meet at the school parking lot at 6:00 am, distribute equipment, and then depart for our destination. We must be off the road at 3:00 pm; we will be returning to the school no later then 4:00 pm. Lunch and water will be provided, but please bring snacks as needed. Recommendations for dress are comfortable shoes, layers as the temperature generally varies at this time of year, a hat, and sunscreen. Please bring sunscreen to reapply throughout the day. Required safety vests and gloves will be provided. All participants must review the pamphlet found HERE, watch the video HERE, and sign the waiver before May 1st. Please contact Melissa Moffat at melissa.moffat@pallisersd.ab.ca if you have any questions!